The British Gazette » Madam Maybe: Going soft on Brexit? 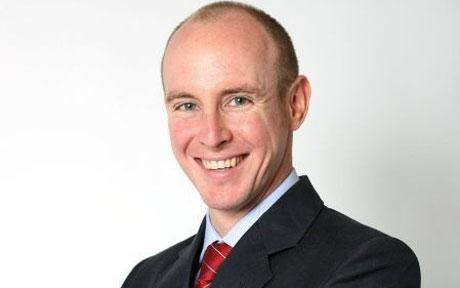 Above Daniel Hannan, NOT the Tory candidate for Aldershot. Three weeks ago tomorrow on 29th April 2017, the Sun newspaper reported that Tory Central Office had appointed Chris Brannigan as the PPC for the rock solid safe Tory seat of Aldershot. The local Tories had been hoping for Tory Brexiteer MEP Daniel Hannan. Today Sky News reports that Madam Maybe appears to be presiding over a policy of ensuring that “Soft Brexit” Tories are being appointed to winnable seats. Two days ago on the 10th May, Politico reported Madam Maybe had appointed the former European Commission official, Peter Hill as her Principal Private Secretary. British Gazette comment: These reports may indicate that Madam Maybe is a “hen” (female turkey) who understands the formula; “Hard Brexit” = political death. This opposed to Mr Hannan a “gobbler” (male turkey) who thinks that “Hard Brexit” is not a problem. Of course, Mr Hannan is in very good company! This includes a large number of Aldershot Tories and virtually every member of UKIP! There is no doubt of one thing however: the UK faces a perilous two years.